This is my favorite go-to dip, sauce, dressing, or whatever you want to use it for! I make as much of it as possible at a time, then enjoy it over the course of a few days. For a quick lunch you can serve it on top of pre-cooked brown rice (I’ve found small packages at Trader Joe’s and Costco that keep in the pantry until you are ready to use them), with slices of avocado, crumbles of cheese, and a few pine nuts sprinkled on top. I heat up the rice and only use 1/3 to 1/2 a cup, with about a cup of the dip on top. 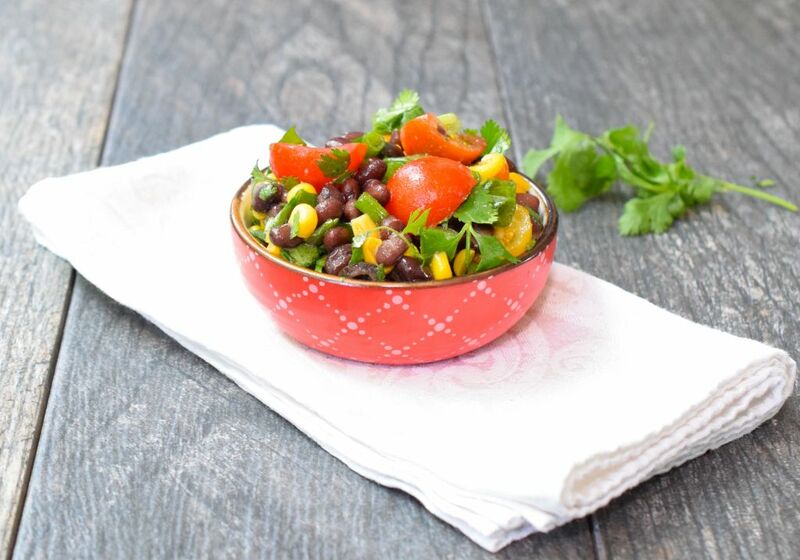 If you’re wondering about the health benefits of this bean salsa, there are many! 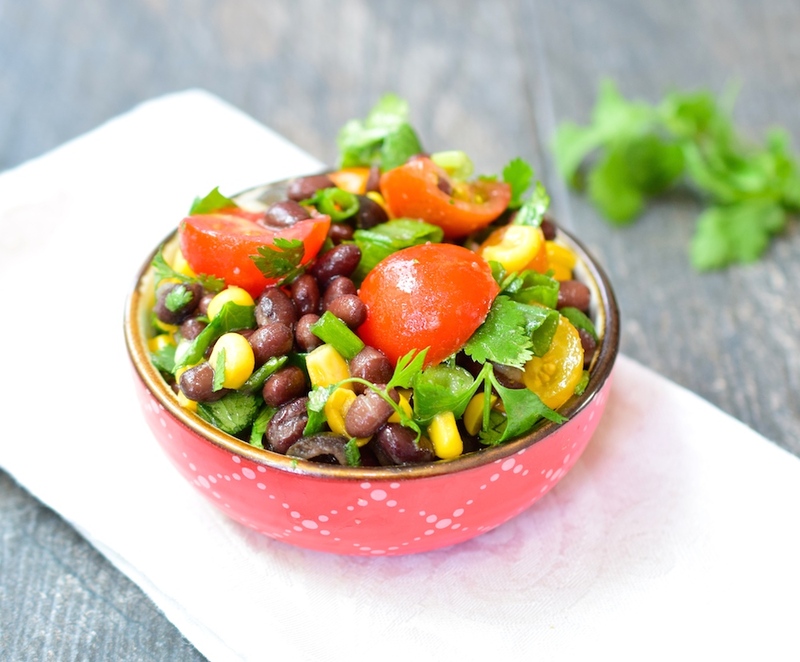 The beans are full of iron, protein, minerals, and resistant starch. The resistant starch feeds the healthy flora in your gut, and is not absorbed by your body, so it is great for weight loss. 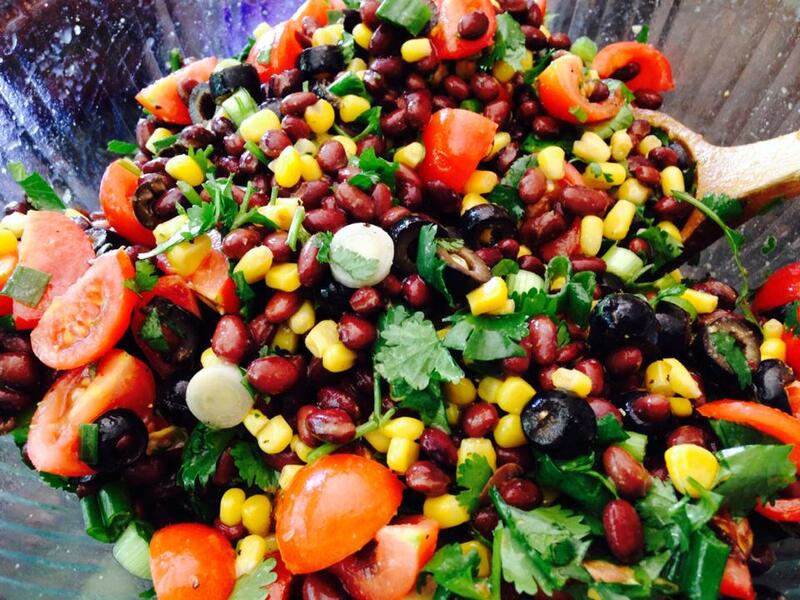 Of course, there are also lots of veggies in the bean salsa, as well, and we all know how important it is to eat our veggies! FYI, if you’d like to educate yourself further in nutrition and healthy dietary practices, Dr. Fuhrman’s The End of Diabetes: The Eat to Live Plan to Prevent and Reverse Diabetes, and Eat to Live are must-have resources for your library!!! He promotes a vegan diet, which I do not follow, but I learned a LOT from him about the importance of vegetables and other healthy foods. I was also inspired by him (and my chiropractor) to lower my portion size when I eat meat. I eat 3 ounces up to 2-3 times a day. Mix and enjoy! If you want to add a kick, add some peppers! I used to make it with the avocado mixed in, but then the left overs don’t last very long. 2 Responses to "Quick and Easy Bean Salsa"